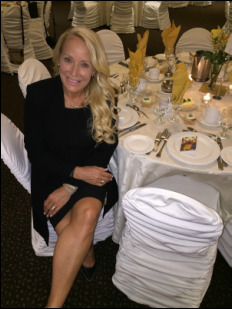 Andrea's post secondary art education, along with her love for baking and a Master Certification in Cake Design from the prestigious Bonnie Gordon School of Culinary Arts, led her to pursue her passion and begin a journey that would eventually lead to where she is today. Serving the Greater Toronto area, Andrea and her team will custom design a cake to illustrate anything you can imagine. At Andrea B's Fine Cakes you can find uniquely designed cakes for all occasions: weddings, retirements, birthdays, anniversaries, corporate events and religious occasions. In addition to the icing on the cake, Andrea also specializes in sculptured cake designs, hand made sugar flowers & figures, cupcakes and personalized cookies. Andrea takes pride in pointing out that all of her creations are fully edible and every creation is baked fresh, with the finest ingredients, tempting your taste buds. Andrea can accommodate customers with most allergy concerns. 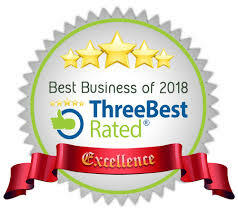 Andrea Bs Fine Cakes awarded Three Best Best Bakery Businesses two years running 2017 and 2018!